ACT® treats the wastewater (graywater and blackwater) in one to three steps depending on your needs and the circumstances at your property. In the first step called ProACT®, sludge is being degraded by microorganisms. Thanks to structures in the tank, there is a lot of surface for microorganisms to grow on. The oxygen level in the tank is low. 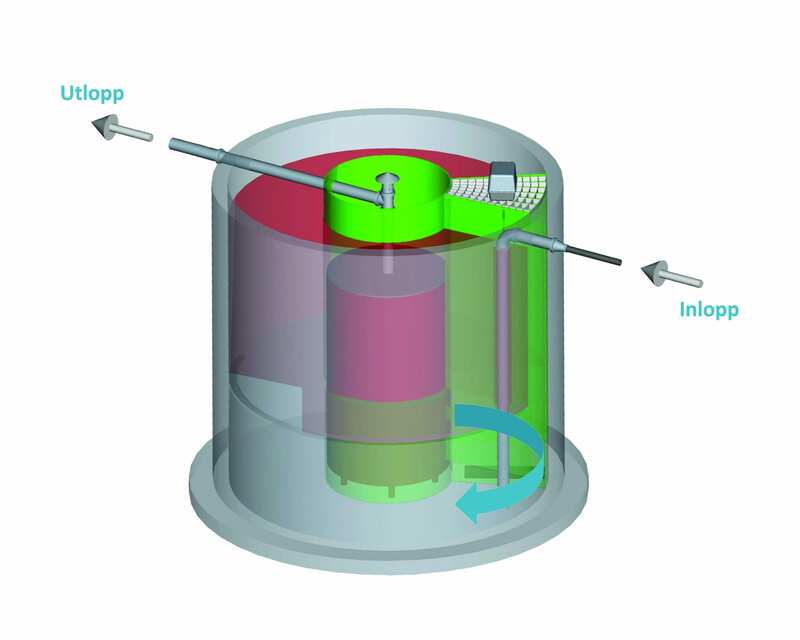 This results in degradation of the sludge and minimizes the need of emptying the tank. 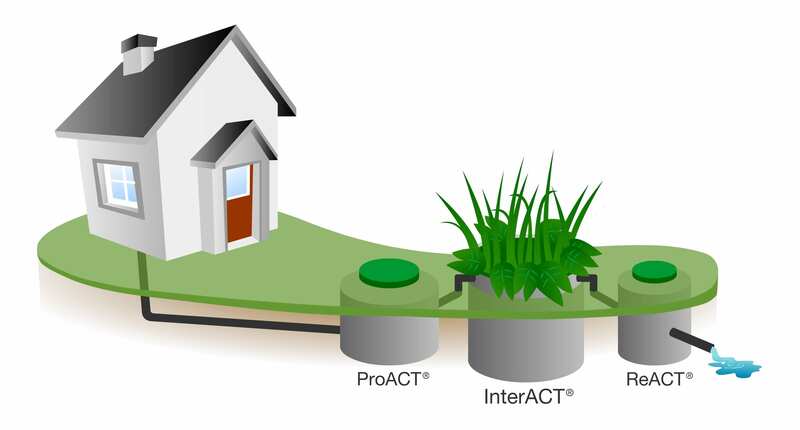 After being treated in the ProACT® the sewage is pumped gradually to the next main step of the system, InterACT®. Here, the wastewater is exposed to an even higher amount of microorganisms and to natural aquatic plants which contributes with even more biological surface for the microorganisms to grow on. The plants as well as the microorganisms feed on nutrients in the wastewater. Since the plants in turn nourish a variety of insects, ACT® takes part in a natural ecological cycle and actively contributes to increased biodiversity. In some cases an additional treatment step, ReACT®, is required to achieve extra reduction of phosphorus. In ReACT® phosphorus is bound in a filter material consisting mainly of lime. When the filter material is saturated with phosphorus it can be returned to the ecological cycle as a fertilizer on farmland. ACT® is a very robust system requiring electricity only to power a water pump and an air pump. 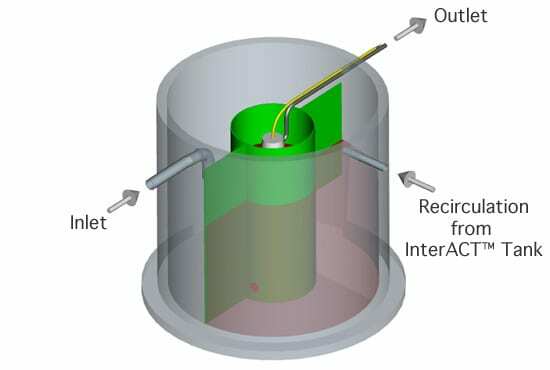 A micro-computer of industrial quality together with a static level meter in the ProACT® ensures stable operation and monitoring of the system.